At least three more attorneys have been added to the fold and the investigation has been going on for 11+ months. As indicated, the purpose of the investigation is the ties, if any, between our President and Russia concerning the 2016 Presidential election. In this case, ties are generally referred to as collusion. There is no law, however, that criminalizes collusion. The only law that I could find that specifically prohibits foreign interference in an American election is Section 30121 of Title 52 of the United States Code. That law, which was enacted in response to concern over foreign involvement in the Bill Clinton Presidential campaign, outlaws election contributions and donations by foreign nationals. At first glance, the only person who could violate this law is a foreign national who donates to a political campaign. Hmmm? I wonder if Hillary Clinton accepted a donation from one of the 12 million foreign nationals illegally residing in the country that she so assiduously courted during her 2016 campaign? The object of the law cited above was monetary contributions or donations. So if Mueller is going to hang his hat on that law, he will have to stretch the definition of contributions and donations to include such things as computer hacking and propaganda. Assuming, therefore, that what Russian operatives may have done to influence or interfere in the 2016 election was a contribution or donation in violation of 52 U.S.C. 30127, how can our President be held accountable for that criminal act? Democrats, the media, and maybe Mueller are trying to make a criminal connection with repeated references to collusion. Unfortunately for them, however, there is no criminal offense of collusion. An individual can be tried and convicted of conspiracy, which is similar to collusion, but different. Conspiracy is a secret plan by a group to do something unlawful or harmful. Whereas collusion is secret cooperation or conspiracy to cheat or deceive. If they, the Democrats, the media, and Mueller, get desperate enough to do something, they may develop a charge of conspiracy to violate the one law discussed above. Based on the information now available to the public, that would be stretching the facts very long and thin. When the evidence began to indicate there was no there there, the investigation morphed into an inquiry whether our President obstructed justice in his relations with FBI Director James Comey. 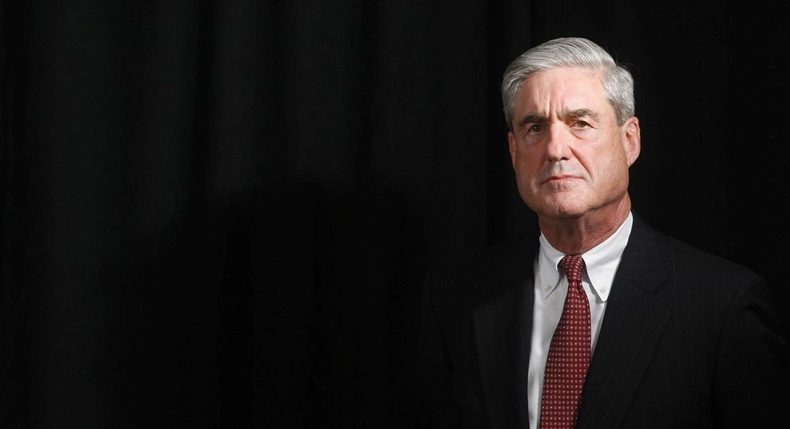 Unfortunately for Mueller, Comey’s own actions and statements and then the release of his book quickly derailed that inquiry. Then an impenetrable road block for Mueller was erected by the FBI IG’s report that resulted in the firing of FBI deputy director Andrew McCabe a few days before his retirement. In the meantime, to show that they are doing something, the Mueller team has referred some type of action against our President’s private attorney to a U.S. District Attorney. To make the referral sound sinister, our President’s attorney, Michael Cohen, is referred to as The Fixer. So what’s new? You hire an attorney only when you have a problem. You have a problem marriage that you want to fix with a divorce. You have a problem with your property passing under the intestate laws to someone you want to disinherit. And on and on. So you go to an attorney, and he or she fixes the problem. In the last 11 months, we have spent many millions of dollars for at least 16 lawyers to investigate something that appears not to exist. That should be enough time to interrogate at least two or three times every individual who has even a hint of relevant information. How many more millions will we spend and how much longer will this charade last? The time for a conclusion passed long ago.